Ready-to-use versions of LSD are available. 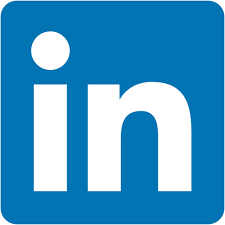 A specific installation procedure is included. 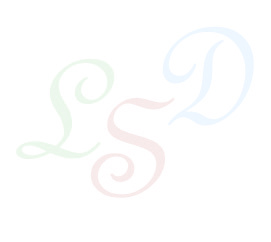 LSD (download the source version) is free software, distributed under GPL licence. Here is its user's manual . Current version is 3.4.10. Last modified: March, 28th 2019. The history file contains links to older LSD distribtion files. You will also find here an introductory lecture on structural organic chemistry and an example of LSD use. CASA is a software for automatic structure verification. It is based on the chemical shift assigment from 1D and 2D NMR data. PyLSD is a layer over the LSD software. PyLSD deals with problems LSD cannot solve, those in which the atom status is not accurately defined. You may also let me know if you want to be informed (or not) about new releases. More free chemistry software is available on the linux4chemistry website. The aim of the LSD program is to find all possible molecular structures of an organic compound that are compatible with its spectroscopic data. Structure building relies on connectivity data found in 2D NMR spectra, without any reference to a chemical shift database. Molecular structures containing up to 50 non-hydrogen atoms were investigated by means of the LSD program. The measurement protocol that is required by LSD includes the recording of 1D 1H and 13C as well as 2D COSY, HSQC and HMBC spectra. The status of each atom must be defined. It includes the atom symbol, the hybridization state (sp3, sp2 or sp), the number of attached hydrogen atoms, and the electric charge. This part of the data set is most often easily deduced by the user from elementary chemical shift knowledge. The status of the heteroatoms is deduced from the elemental molecular formula. Carbon-carbon bonds are deduced from COSY and HSQC data while HMBC and HSQC data provide connectivity relationships through one or two bonds for non-hydrogen atom. The constraints imposed by atom status and 2D NMR data may be enforced by other atom neighborhood relationships. For example, it is possible to force a carbon atom to be bound only to carbon atoms. The user is responsible for such supplementary data. Contradictory constraints lead LSD to fail in the search of a solution structure. The low resolution of HMBC and HSQC spectra in the C-13 chemical shift domain causes peak assignment ambiguities. It is possible to define groups of resonances and to assign a HMBC correlation peak to a group. This means that the correlation is caused by at least one member of the group. The solutions may be selected using a substructure or a combination of substructures. Those violating Bredt's rule are also discarded. The input to LSD is coded by the user as a text file, according to the instructions in the MANUAL_ENG.html document. A program named OUTLSD reads the generated solutions and converts them into various formats: bonds lists, 2D coordinates, fancy 3D coordinates (fancy, due to the lack of stereochemical information), and SMILES chains. The 2D coordinates can be converted to Postscript drawings and to .sdf (SDF) files. Execution of the LSD program may be controlled by specific instructions for output formatting such as: single step execution, search of the biggest found fragment (for debugging purpose), report writing, verbosity level, substructure search. Tens of structures were investigated by means of the LSD program, essentially in the field of natural product chemistry, and especially for terpenes and alkaloids. J.-M. Nuzillard and G. Massiot. Computer aided spectral assignment in nuclear magnetic resonance spectroscopy. Analytica Chimica Acta 1991, 242, 37-41. A quick method for the automatic detection of anti-Bredt structures. J. Chem. Inf. Comput. Sci., 1994, 34, 723-724. S. V. Ley, K. Doherty, G. Massiot and J.-M. Nuzillard. Connectivist approach to organic structure determination. LSD-program assisted NMR analysis of the insect antifeedant azadirachtin. J.-M. Nuzillard, W. Naanaa, and S. Pimont. Applying the constraint satisfaction paradigm for structure generation. J. Chem. Inf. Comput. Sci., 1995, 35, 1068-1073. G. Almanza, L. Balderama, C. Labbé, C. Lavaud, G. Massiot, J.-M. Nuzillard, J. D. Connolly, L. J. Farrugia, and D. S. Rycroft. Clerodane diterpenoids and ursane triterpenoid from Salvia haenkei. Détermination assistée par ordinateur de la structure des molécules organiques. J. Chim. Phys. 1998, 95, 169-177. G. Massiot, C. Lavaud, and J.-M. Nuzillard. Structure elucidation of plant secondary products. Chemical from plants. Perspectives on plant secondary products. Imperial College Press, 1999, pp. 187-214. J.-M. Nuzillard, J. D. Connolly, C. Delaude, B. Richard, M. Zèches-Hanrot, and L. Le Men-Olivier. Computer-assisted structural elucidation. Alkaloids with a novel diaza-adamantane skeleton from the seeds of Acosnium panamense (Fabaceae). D. Mulholland, M. Randrianarivelojosia, C. Lavaud, J.-M. Nuzillard, and S. L. Schwikkard. Limonoid derivatives from Astrotrichilia voamatata. D. Mulholland, S. L. Schwikkard, P. Sandor, and J.-M. Nuzillard. Delevoyin C, a tetranortriterpenoid from Entendophragma delevoyi. Automatic structure determination of organic molecules: principle and implementation of the LSD program. Chinese Journal of Chemistry 2003, 21, 1263-1267. D. A. Mulholland, A. Langlois, M. Randrianarivelojosia, E. Derat, J.-M. Nuzillard. The structure elucidation of a novel derivative from Tachiadenus longiflorus (Gentianaceae) using the LSD programme and quantum chemical computations. Phytochemical analysis 2006, 17, 87-90. J.-M. Nuzillard, V. P. Emerenciano. Automatic structure elucidation through data dase search and 2D NMR spectra analysis. Natural Product Communications 2006, 1, 57-64. A. Toribio, A. Bonfils, E. Delannay, E. Prost, D. Harakat, E. Hénon, B. Richard, M. Litaudon, J.-M. Nuzillard, J.-H. Renault. Novel seco-Dibenzopyrrocoline Alkaloid from Cryptocarya oubatchensis. Organic Letters 2006, 8, 3825-3828. D. A. Mulholland, M. K. Langat, N. R. Crouch, H. M. Coley, E. M. Mutambi, J.-M. Nuzillard. Cembranolides from the stem bark of the southern African medicinal plant, Croton gratissimus (Euphorbiaceae). B. Plainchont, J.-M. Nuzillard, G. V. Rodrigues, M. J. P. Ferreira, M. T. Scotti, V. P. Emerenciano. New improvements in automatic structure elucidation using the LSD (Logic for Structure Determination) and the SISTEMAT expert systems. Natural Product Communications 2010, 5, 763-770. B. Plainchont, V. P. Emerenciano, J.-M. Nuzillard. Recent advances in the structure elucidation of small organic molecules by the LSD software. Magn. Reson. Chem. 2013, 51, 447-453. Automated Interpretation of NMR Spectra for Small Organic Molecules in Solution. J. Hubert, S. Chollet, S. Purson, R. Reynaud, D. Harakat, A. Martinez, J.-M. Nuzillard, J.-H. Renault. Exploiting the Complementarity between Dereplication and Computer-Assisted Structure Elucidation for the Chemical Profiling of Natural Cosmetic Ingredients: Tephrosia purpurea as a Case Study. J. Nat. Prod. 2015, 78, 1609-1617. H. I. Januar, N. P. Zamani, D. Soedharma, E. Chasanah. Logic Structure Determination (LSD) as a Computer-Assisted Structure Elucidation (CASE) for Molecular Structure Determination of Cytotoxic Cembranoids from Soft Coral. J. K. Sihra, M. K. Langat, N. R. Crouch, J.-M. Nuzillard, B. Plainchont, D. A. Mulholland. Novel triterpenoid derivatives from Eucomis bicolor Bak. (Hyacinthaceae: Hyacinthoideae). RSC Adv. 2017, 7, 15416-15427. A. Bakiri, B. Plainchont, V. de P. Emerenciano, R. Reynaud, J. Hubert, J.-H. Renault, J.-M. Nuzillard. Computer-aided Dereplication and Structure Elucidation of Natural Products at the University of Reims. Mol. Inf. 2017, 36, 1700027. Tutorial for the structure elucidation of small molecules by means of the LSD software. Magn. Res. Chem. 2018, 56, 458-468. M. K. Langat, N. B. Crouch, J.-M. Nuzillard, D. A. Mulholland. Pseudopulchellol: A unique sesquiterpene-monoterpene derived C-25 terpenoid from the leaves of Croton pseudopulchellus Pax (Euphorbiaceae). Phytochem. Lett. 2018, 23, 38-40. LSD, as seen by ACD. Bertrand Plainchont, Ph. D. Student since September 2009 at the Institute for Molecular Chemistry of Reims, France. Pr. Vicente de Paulo Emerenciano, Chemistry Institute, University of São Paulo, for giving us access to the SISTEMAT database from which the collection of natural product skeletons was extracted. for the creation of the first MacOS X binary files.